i am officially obsessed with neon. between all the brights i saw at playtime for the fall and window shopping in soho last week, it is obviously very in for kids and adults alike. thanks to american apparel you don't have to search too hard to find fun styles in all the shades of your favorite highlighter. 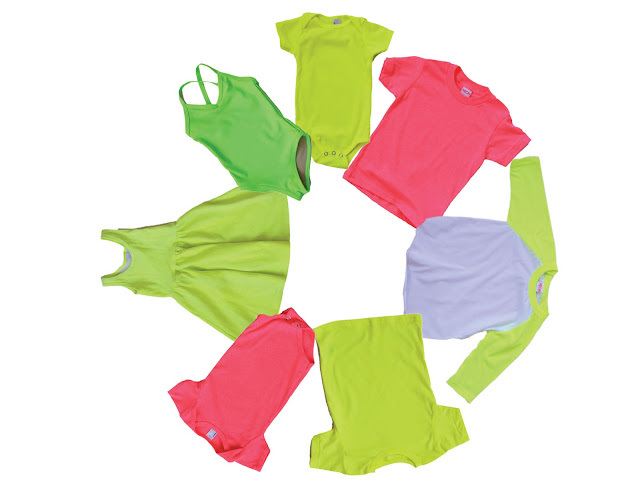 from acid green swimwear to day-glo pink onesies (my personal faves) the neon pieces from american apparel kids are sure to jazz up that dreary winter wardrobe--for you too mama!